A move by users to force a change in the computer code by Monday has worked. A majority of "miners"—the core bitcoin users who verify bitcoin transactions around the world—has signaled support. Though the change is designed to improve capacity on the increasingly clogged network, some miners had objected because it could reduce transaction fees they collect. However, some uncertainty still remains. A May agreement between large bitcoin companies effectively pushes the threat of a split off until November. 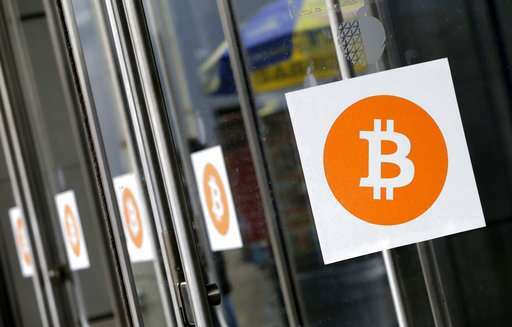 And one proposal to launch an alternative currency, Bitcoin Cash, is sowing fears of scam trades. Here's a look at the current dispute. Bitcoin is a digital currency that's not tied to any bank or government . Like cash, it lets users spend or receive money anonymously, or mostly so; like other online payment services, it also lets them do so over the internet. The coins are created by miners, who operate computer farms that verify other users' transactions by solving complex mathematical puzzles. These miners receive bitcoin in exchange. It's also possible to exchange bitcoin for U.S. dollars and other currencies. Bitcoin has been touted as a currency of the future, but so far it hasn't proven very popular as a way to pay for goods or services. Some software developers came up with a way to speed things up by reengineering bitcoin's universal ledger, a file called the blockchain. Supporters of the new method include Microsoft, the bitcoin exchange Coinbase and a variety of other bitcoin proponents who would like to see the currency used more widely in commerce. Reformers had threatened to stop recognizing transactions confirmed by miners who hadn't adopted the upgrade. Generally speaking, chaos—though mostly limited to those who use or squirrel away bitcoin. People who use bitcoin couldn't be sure which version they held, or what might happen if they spent it or accepted bitcoin as payment. Taking bitcoin, for instance, could leave you with currency you couldn't spend freely—and that might disappear entirely if it ended up being the "wrong" kind. That's one reason the community-supported website Bitcoin.org had warned users not to accept any bitcoin up to two days prior to Monday's deadline and to wait for confirmation the situation had been resolved before trading again. But the change now has the support needed to proceed, so a disruption isn't likely this week. But some digital currency exchange operators— including Coinbase and Bitstamp—have said they won't support Bitcoin Cash. And Cornell computer science professor Emin Gun Sirer says savvy traders can game the system to create free money for themselves. Meanwhile, major companies that came together on the May agreement committed to a second change by November that could still result in a split of bitcoin into two incompatible currencies if a significant number of miners don't agree. "The big drama has thus been postponed," Sirer said in an email Monday.